DELL Latitude 7285 2-in-1 (12-inch) is the world's first laptop that supports wireless charging. 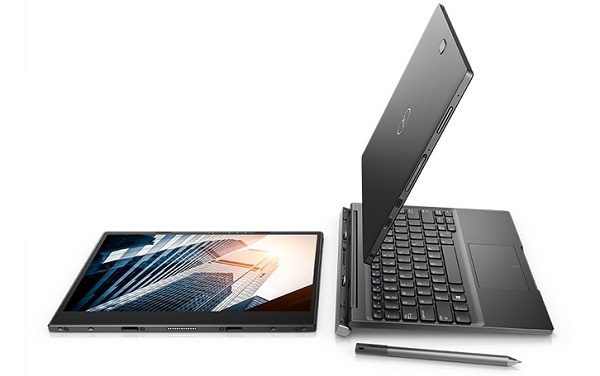 Dell today announce the launch of Latitude 7000 12-inch detachable 2-in-1, world's thinnest and lightest Windows-based commercial 2-in-1 and is the first to offer wireless charging. The Latitude 7000 12-inch 2-in-1 (7285) features a premium tablet and detachable keyboard design that is ideal for mobile professionals demanding the thinnest, lightest detachable 2-in-1 mobile device without sacrificing security. First unveiled at CES 2017, it's the world's first wireless charging 2-in-1 destined to modernize today's workspace by further eliminating wires. Integrating WiTricity's magnetic resonance wireless charging technology, the device is built to transform any workspace into a clutter-free environment. When combined with a charging mat and WiGig wireless dock (sold separately), users can quickly remove the 2-in-1 from the mat without the need to unplug any cables, and easily return it to the mat to automatically recharge and connect to additional wireless peripherals such as a display, wireless keyboard and mouse. The Dell Latitude 7285 12-inch detachable 2-in-1 (7285) is available on Dell.com starting at $1,199.99 (Intel Core i5-7Y54, 128GB SSD, 8GB memory).